Today’s Epic App Battles of Android has two of round 1’s champions going head to head. The winner will go on to the final round and have one last chance at the title of Best Music Streaming App. In the blue corner, we have Google Play Music, launched in 2011, with over 500m downloads and a user rating of 3.9. In the red corner, we have TIDAL, Jay-Z’s premium service launched in 2015, with over 500,000 downloads and a user rating of 3.5.
Who will come out on top in this Epic App Battle of Android? 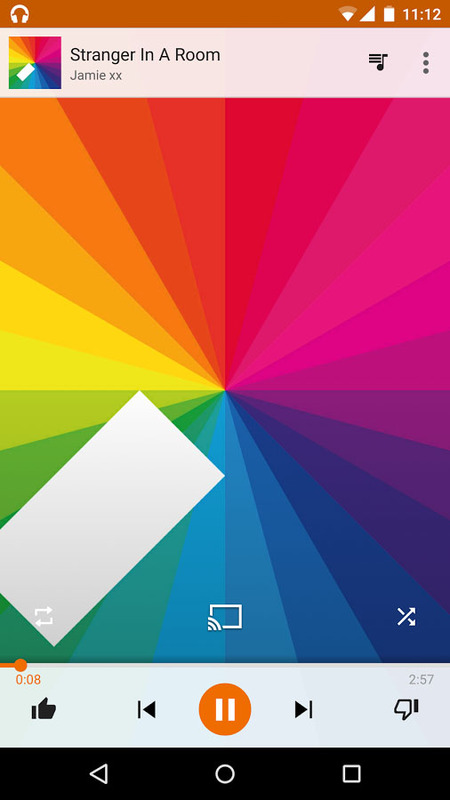 Google Play Music uses Android’s material design. And that is completely logical because it’s Google after all. That, of course, makes for a very familiar interface that doesn’t require you to fiddle to find your way around. When you first open the app, you’ll be greeted by the same interface found on their web portal. This makes it very easy to transition from the app to the web portal and vice versa. The color scheme is very light and clean. Personally I like the darker color scheme of Tidal a little better. It would be nice if Google would give you the option to select a color scheme based on your own tastes. When you first open the app you are greeted by some automatically generated playlists. This is a feature that they brought in from their Songza acquisition last year. Songza’s streaming service, of course, still exists. In fact, it went head to head with Spotify last week. Even though it lost the battle, its automatic playlist feature is pretty cool and it really helps Google Play find you some music that you want to listen to quickly. Right below the playlists are the recently listened to stations. This is handy if you have a station that you really liked. Tidal uses a darker color scheme of black and gray. This makes for a high-end feel in the app. The colors contrast very nicely together and it’s much easier to look at in the dark than Google Play Music’s interface. They use some of the elements found in Google’s material design, but they keep their own distinct flavor in the app. Unfortunately, Tidal’s interface is not as easy to use as Google’s is. I found music that I wanted to listen within moments of opening up the app. I suppose that if I was more into modern hip-hop, then I might have had an easier time finding something to listen to in Tidal. But, I’m a 90’s child and grew up listening to Nirvana, Pearl Jam, Tupac, Warren G, Stone Temple Pilots, etc… Needless to say, I had to do some hunting and pecking to find something to listen to. It’s not even that difficult, it just takes longer. I would think that as I listened to music, that the app would learn my tastes in music, but that just wasn’t the case. No matter how long I listened, it seemed bent one suggesting whatever it felt like. One area that Tidal really needs help in is making the app more intuitive. When I first started using the app I thought that they didn’t have the ability to create a radio station around a particular track. Almost every streaming music service since Pandora has included this and I had no clue how to do in in Tidal. I ended up accidentally swiping down on the now playing screen thinking that it would work like Google Play and minimize the now playing screen. Instead, it ended up bringing down another menu, giving me the option to create a radio station around the track as well as some other options. 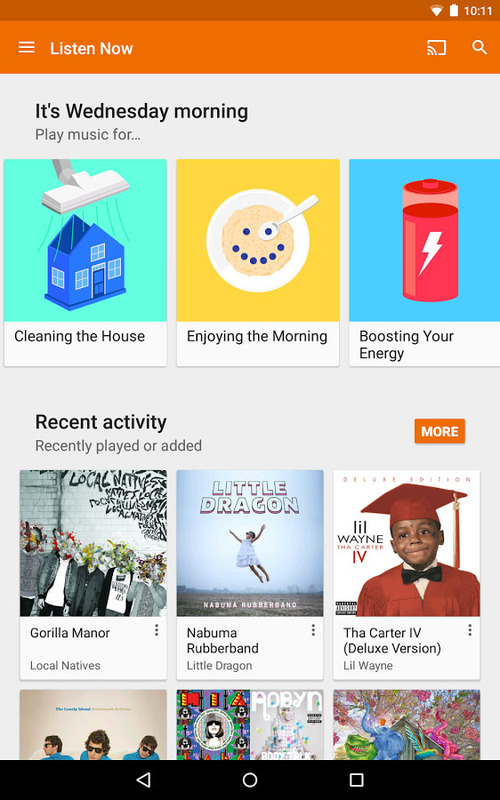 Google Play Music comes to the table with some pretty strong features. As I mentioned in its Epic App Battles of Android with Amazon, one of it’s strongest features is its enormous catalog. I was able to find the most obscure music that I knew of. I even found a relatively unknown Salvadoran band called R.E.D.D.. They are very well known in El Salvador, but not so much in the rest of the world. Every song and every artist I looked for, I found. To me, that is a huge benefit of a streaming music app. Another nice feature of the paid version was that when you listen to a song that has a music video on Youtube, there will be the option to watch the music video. This is more of a novelty than anything, as I usually listen to music while I am otherwise occupied with another task. This makes it difficult to enjoy this feature. It’s more of a cool feature to show your friends. Also, the video doesn’t open up in the native Youtube app, where you could cast it to your TV. It instead opens in a player within the app. To be fair, you can still open the video in the Youtube app, but it’s not intuitive. Tidal also features music videos, but they are separated from the music. Chromecast support is another feature that you’ll find on Google Play. If you want to play your music on your television, you can with the Chromecast. Technically if you have Youtube on your TV or other streaming device, you can open the video in the Youtube app and cast the music video to other non-Chromcast devices. Tidal does not give you that option. One of the best features of Google Play is that you can upload 50,000 songs from your own music library. You don’t need to subscribe to the premium service to enjoy this feature either. Another feature that Google Play has that Tidal does not is the ability to filter explicit results from radio stations. As a father of 3 children, this is especially important to me. Tidal’s biggest feature is that it offers HiFi, lossless audio quality with 1411/kbps. Google only offers 320/kbps streaming. Now before, you start saying that you can’t tell the difference, let me tell you that it is noticeable. Just like the difference between 720p and 4k is not as noticeable on a smaller screen, the difference between Google Play and Tidal’s audio quality does not make itself as apparent until you listen to it on a higher quality speaker system. Another factor that can make a difference is if you are using Bluetooth to stream the audio or using a wired audio connection. The A2DP Bluetooth audio streaming profile limits the maximum available bit rate to 512 kbps. However, the bit rate is largely determined by the codecs supported by both the streaming and the receiving device. The SBC codec is only able to transmit at 328/kbps and the aptX at 352/kbps. So if you’re streaming via Bluetooth, then the advantage of HiFi streaming that Tidal offers is effectively negated by the limitations of the hardware. HiFi streaming isn’t their only ace in the hole. They like Google have a large library of over 30 million songs. However, Google seems to have a slight edge here. I was unable to find Salvadoran band R.E.D.D. in Tidal’s catalog, but just about everything else I searched for, I found. One disappointment I had in searching for Artists or songs in Tidal was the lack of search suggestions. If you misspell something it won’t try to correct you or even offer suggestions. It’s just blank. This is especially inconvenient for bands with unique spellings of their band names. Realistically, both apps offer a comparable set of features and both bring some their own unique features to the table as well. Google Play Music has both paid and free versions. 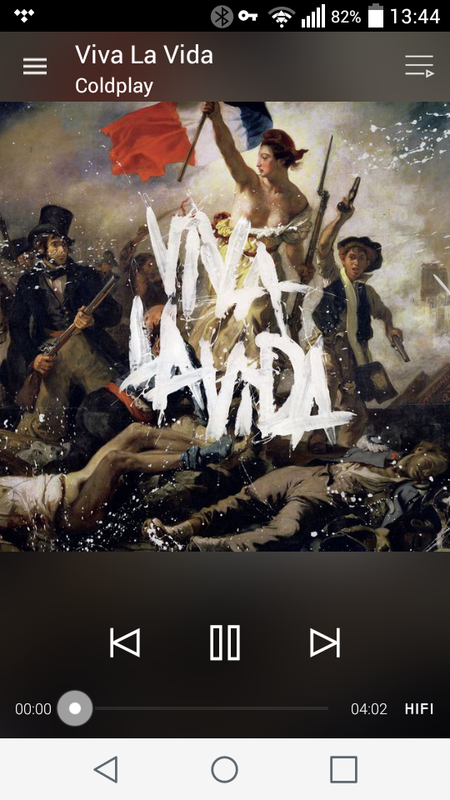 The free version is essentially Songza with Google’s UI. You get unlimited ad-supported music streaming with 6 skips per hour. Chromecast support is included. The paid subscription will give you offline play, unlimited skips, and no ads. You can watch music videos for many of the songs, as well as play specific songs and albums. It costs $9.99 per month and you get a free 30 day trial. Tidal has no free streaming what so ever. They do have a 30 day trial and 2 pricing tiers. Their standard tier will cost you $9.99/month. However, this will not get you Tidal’s HiFi streaming. You’ll need to pay an additional $10/month for the privelege of listening to your music in HiFi. Tidal does offer a 50% discount to students enrolled at a U.S. accredited higher education institution such as a college or university, which makes Tidal much more affordable. Unfortunately the majority of the population will be unable to qualify for the discount. Tidal also offers family discounts. While the original account is charged the original pricing. Each additional account is given a 50% discount per line. Google Play Music does not offer any discount pricing. This was a pretty close battle. Google won the app design category hands down for their easy to use interface and ease of finding something to listen to. Both Google and Tidal came to the table with some pretty strong features. Google’s slightly larger music catalog, explicit search filter, and 50,000 song uploads on the free tier slightly edged out Tidal’s HiFi music streaming. Tidal won in the pricing category, because while Google offers a free tier, Tidal has discounts. In the end, Google wins this Epic App Battles of Android and advances to the next round. What do you think? Do you agree with our scores? Who do you think won? Let us know in the comments below. The post Epic App Battles of Android: Google Play Music vs. 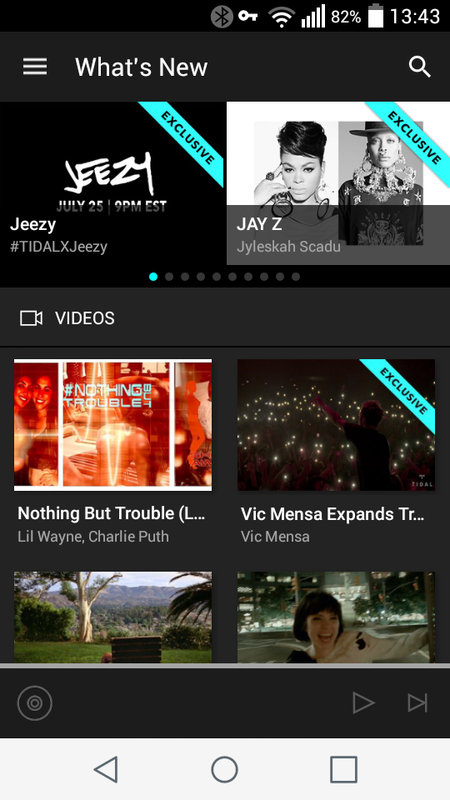 Tidal appeared first on AndroidGuys.